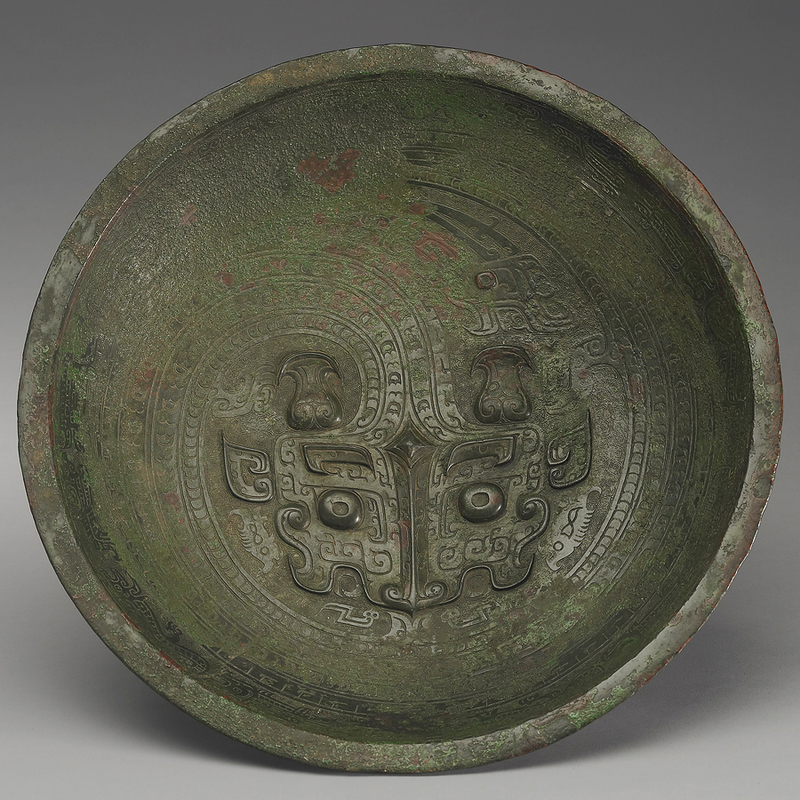 The surface of this basin is decorated with a coiled dragon, its head, an animal mask in the style of the late Shang period, protruding from the center. Around the rim of the basin are “k’uei” dragon, bird and fish motifs. Casting marks can be found on the reverse side, with traces of six join reinforcements located where the ring foot meets the underside of the vessel. On the ring foot are three square holes equally spaced that research has revealed to have been used during the casting-on process and to secure the pieces in place. As a result, holes were commonly seen on the ring feet of bronzes, and it was not until the late Shang that the problem of shift during casting was resolved. This is an important example of a Chinese Bronze Age water vessel. According to archaeological records very few large bronze water vessels such as “p’an” basins or “yu” bowls were unearthed from Shang dynasty tombs, especially not with such grand decorative work as found on this example. This suggests that the person this “p’an” was buried with had been an important member of the aristocracy.